Natulek писал(а): Источник цитаты Irinasmolkina вот пожалуйста, специально сфоткала рядом двух моих Сидочек для сравнения!! взято отсюда - viewtopic.php?p=979485#p1411073 "БЖД Тоннер: Золушка, Тайлер, Эшли, Сидней"
Today I open the order for Clara limited 10 doll. She is molded with high quality Russian resin. The finishing time is two to three months (I hope to be faster). I work alone, all handmade and I hope you like Rimdoll's first doll product. Tonner's Bianca Lapin on the body found on Ebay, which makes her share with 17" DeeAnna. Vanessa's neck socket still had to get enlarged to properly sit on this neck though. She's wearing 17" DeeAnna Denton outfit and Tyler shoes. Can't even count how many Daphne's I own. Should do some group shot someday. RD Smiling Gene head (w/ Modern Gene faceup) arrived today and she claimed Soulkid N.L body I bought a few years back. Skintones match 99% perfect and I think I'll keep her like this. к фотографии подпись - Here is the early 3D print prototype of GlamourOZ Doll, Kotalin Bizelle. 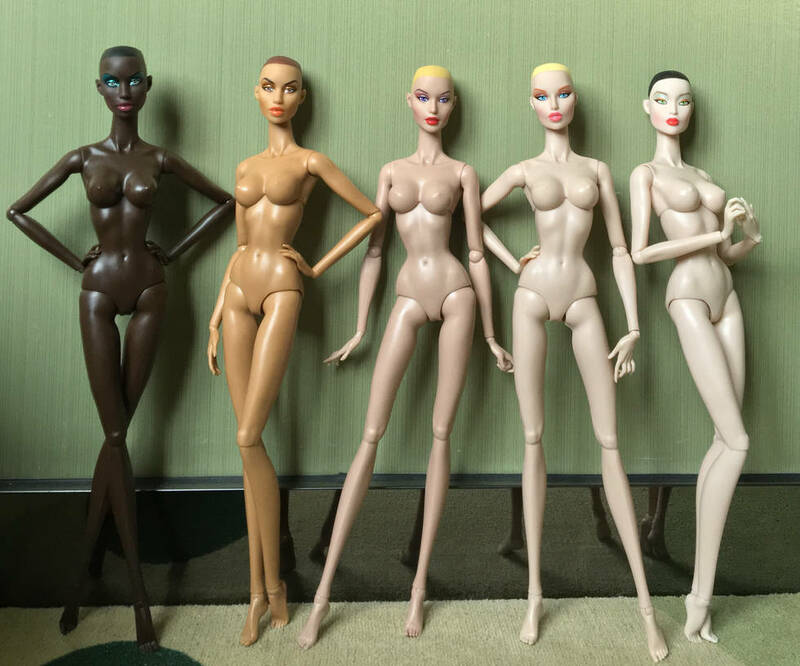 These are the 5 production skintones that my GlamourOZ Dolls will be released in for their inaugural editions. Ebony: The character utilising this skintone is Bindi Merinda (pictured). Latino: The characters utilising this skintone are Bindi Merinda (pictured), and Lucille Lei. Caucasian: The characters utilising this skintone are Elizabet Bizelle (pictured), and Kotalin Bizelle. Japan: The characters utilising this skintone are Kotalin Bizelle (pictured), and Elizabet Bizelle. Ivory: The character utilising this skintone is Lucille Lei (pictured). официально в инстаграмме - GlamourOZ Dolls™. 18" tall, wears 16" clothes & shoes. Hard plastic, 14 articulation points. Created & produced by Jozef Szekeres Dolls™, Australia.